Rob King brings over 14 years of experience to his clients. As an economics major from Centre College, Rob saw the demand for comprehensive planning and knew he could help fulfill the supply through hard-work and ongoing education. As a lifelong learner, Rob is continuously looking for new ways to provide value to his clients, whether it's pursuing new professional credentials or learning new ways to provide excellent service. An avid believer in mentoring and giving back, Rob not only gives of his personal time to his community but also finds some of his greatest fulfillment in helping clients, players, co-workers, and others understand the fundamentals of financial planning. 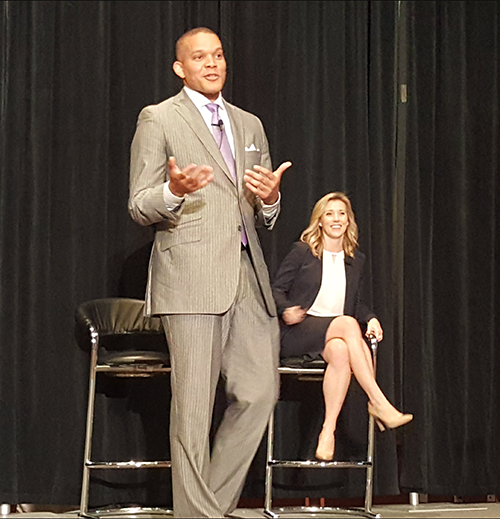 Rob King sharing insights on young professionals and their unique financial planning needs to an "at capacity" room of fellow Northwestern Mutual Financial Representatives in July 2017. If you are a young professional and would like to know more about how financial planning can assist you in accomplishing your goals, here are a few of Rob's favorite pieces to get started. Rob and his team will happily sit down with you to discuss what the next steps would be based on your specific goals. Congratulations, you are starting your family.